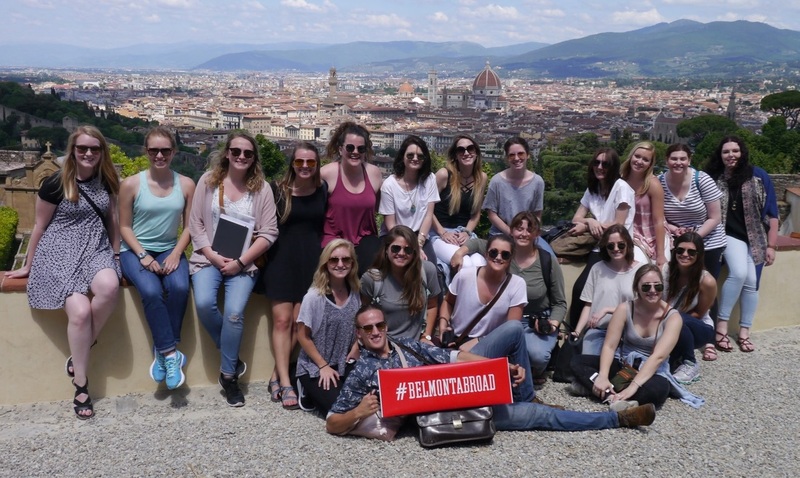 This summer, Belmont will send its largest group of students across the world for study abroad experiences. With more than 650 students participating in 34 programs, including Maymester trips, students will spend time in Greece, Brazil, England, France, Switzerland and Haiti, among many other locations. Junior corporate communication and psychological science double major Christiana Duerksen recently participated in a month-long trip to China. While there, she visited Beijing, Zhengzhou, Hangzhou, Huangshan and Shanghai, among other cities. Focused on “China Rising,” the trip was centered around understanding the Chinese culture and included four courses for credit. Image provided by Christiana Duerksen. While there, the group visited many landmarks including Tiananmen Square, the Forbidden City, the Great Wall, the Shaolin Monastery, the Longmen Grottoes and Huangshan Mountain. They experienced diverse cuisine and traveled throughout the country by bus and train.